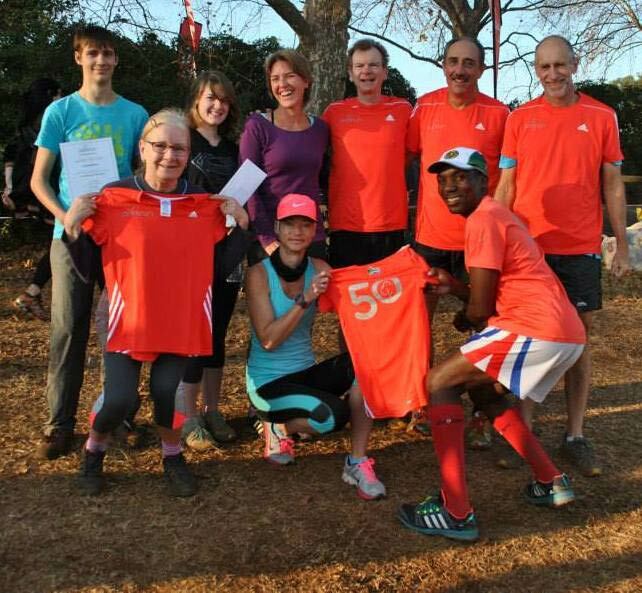 In this edition of the SA parkrun newsletter, we are gearing up for a number parkrun anniversaries in the coming month and we hear from Shongweni’s second anniversary celebrations earlier this month. 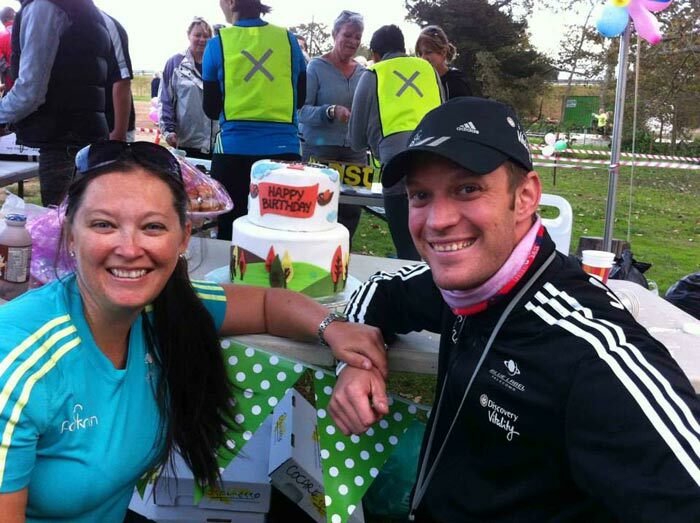 We congratulate North Beach parkrun Directors, Stefan and Jenna, on the birth of their baby boy! There has been a demand for a parkrun on the KZN North Coast for quite some time now so we are delighted that Ballito parkrun has finally joined the family. 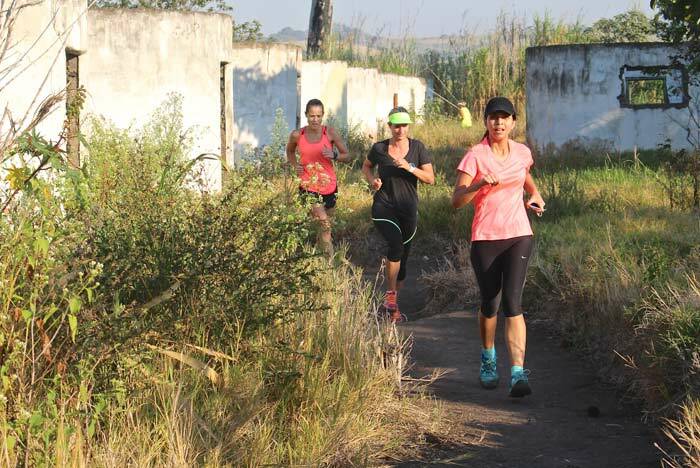 Ballito is famous for being part of the Dolphin Coast but their parkrun is run at the inland Sugar Rush estate and is run through fields of sugar cane. After event director, Dwain Sweigers had welcomed everyone on behalf of his team of volunteers just over 250 runners ran the inaugural parkrun through the cane fields of the Sugar Rush Estate. Ballito parkrun has its own “Polly Shortts” a tough hill at about the 2km. point but it also has some winding paths through a forest, over bridges and between the ruins and walls of an old village. Afterwards runners all agreed that Ballito parkrun will be very popular and a well-run breakfast venue will make it even more so. This Saturday parkrun moves from the balmy KZN coast to the icy winter Eastern Cape Winter at the Aliwal North parkrun. Despite the early morning cold it will still be bright and sunny and the welcome Linda Whittal and her team will give parkrunners will be a warm one. Aliwal North has been waiting many months to join the parkrun family. Aliwal North will be the second parkrun to be run close to the banks of the Orange River. It’s amazing to consider that the mighty Orange flows nearly 800 kilometres away to Upington and the Upington parkrun. As we all know volunteers and volunteering is the lifeblood of parkrun and many volunteers are often the unsung heroes and heroines of parkrun. We do enjoy recognising our volunteers when we can and in this newsletter we would like to pay tribute to Torrin Theron and Chris Visser who have volunteered 100 times this Saturday at Root 44. Our Event Director and Regional Director, Torrin Theron, and Run Director, Chris Visser, have officially reached 100 volunteering occasions, while fulfilling multiple roles, on 20 June! The Root 44 parkrun core team surprised Torrin and Chris with a thank you goodie bag and some very kind words before the start of parkrun. They would like to thank everyone at Root 44 parkrun and parkrun SA for their support over the last 109 events and to every parkrunner who makes every event so special! Saturday morning #parkrunday wouldn’t be the same without parkrun. In addition Torrin is our regional director for all Boland and Karoo parkruns and Chris will be running his 97th parkrun on Saturday. Birthday greetings are due to Kidd’s Beach and Cannibal’s Cave parkruns this Saturday. Kidd’s celebrates its 2nd birthday under the expert leadership of Benji Gane while Musi and Lizzy Mabaso will celebrate the first birthday of their beautiful parkrun nestled in the shadow of the Drakensberg Mountains. Finally greetings to Josh van der Merwe, the youngest new member of the parkrun family. 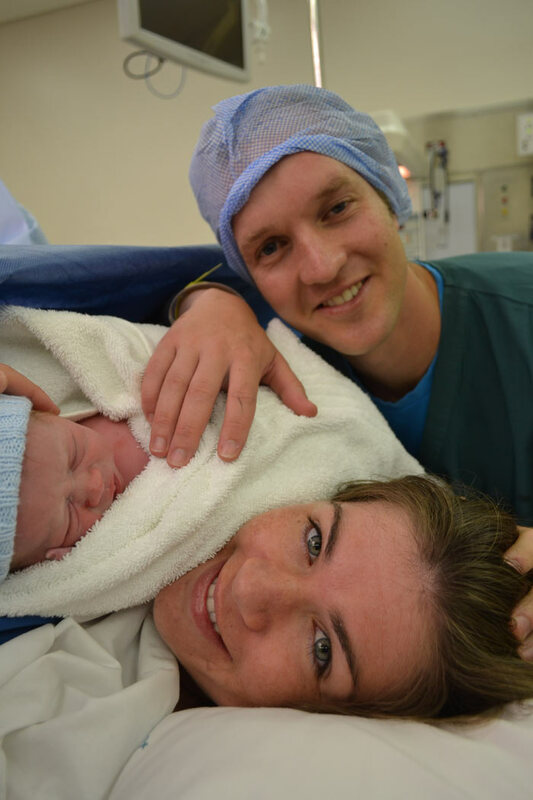 Josh was born last Friday to Jenna and Stefan , our KZN Regional Directors. Congratulations to Stefan and Jenna from the entire parkrun family. 1. Please update your volunteering options on your personal profile page. (by following the link to "manage my profile" which appears on the right-hand side menu of this newsletter and all results emails. If you like the look of anything, email the address at the top of the page with your full name, your athlete ID (the number under your barcode) and let us know when you'd like to volunteer. Please do not get in touch with parkrun HQ offering to volunteer as we won't be able to register you. This needs to be done by local event teams. Thank you for your support in making parkrun possible! The June edition of our Media Partner, Modern Athlete Magazine is available online now! Subscribe to Modern Athlete here. When you activate the Vitality HealthyCare benefit you get up to 10% cash back at selected partners. To increase your cash back to up to 25% at your preferred partner, you and your spouse (if applicable) must find out your Vitality Age and do a Vitality Health Check at the preferred partners or any pharmacy in the Vitality Wellness Network. So don’t miss out, activate now and start earning cash back on thousands of HealthCare items. 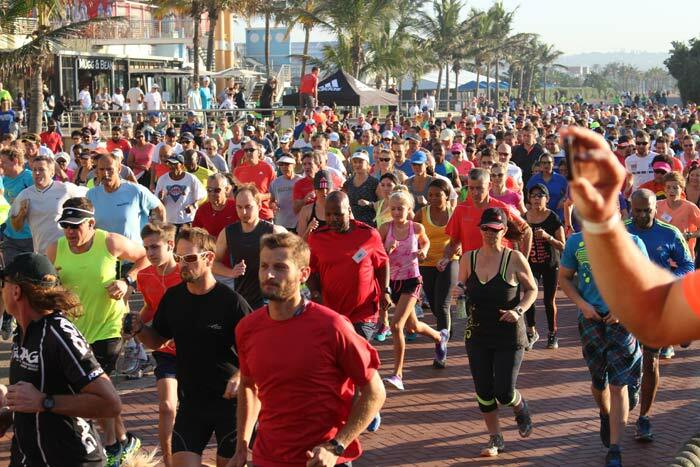 13 June 2015 was significant in KZN for the fact that as Ballito commenced with it's first parkrun, Shongweni was celebrating its second anniversary. 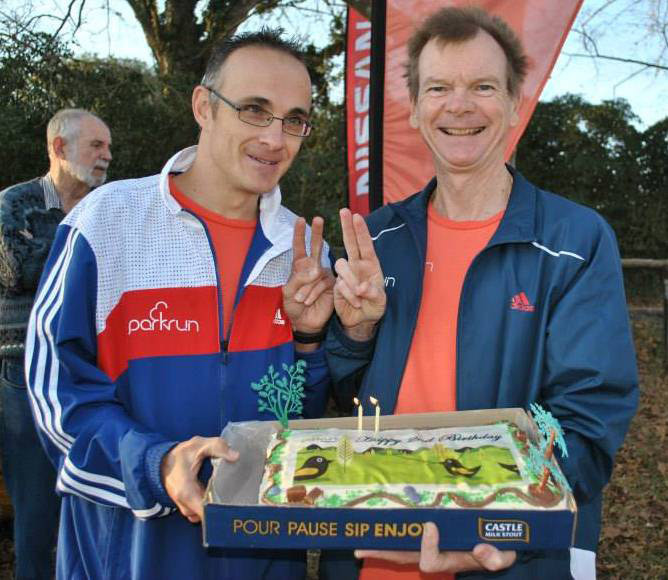 Thanks to support from parkrun SA and adidias, all participants were treated to cake and juice sachets. The event was also used to award vouchers to the annual points winners together with a anniversary shoe voucher to a lucky runner and certificates and red 50 T-shirts to the newer members of the 10 and 50 Clubs. The pictures show Jason Huntley and Robin Archer with the cake and its 2 candles as well as a collective picture featuring the awardees of the day. 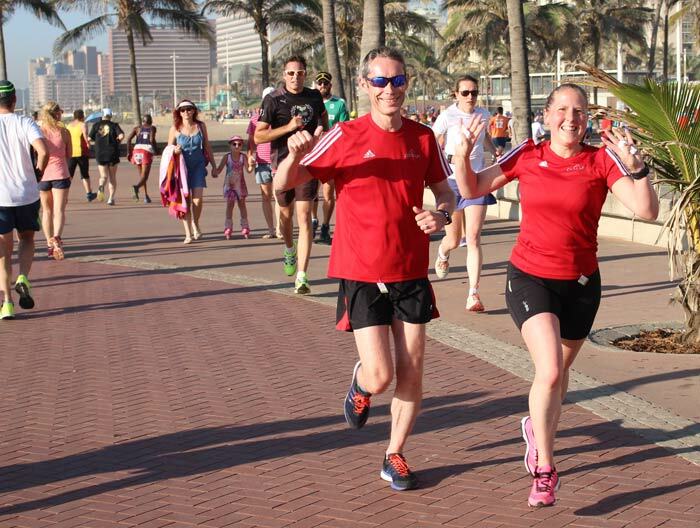 In this edition of the SA parkrun newsletter, we visit North Beach parkrun for the Comrades Marathon warm-up. The Karoo’s Prince Albert parkrun is a must for parkrun travellers and Ballito parkrun launches this Saturday! 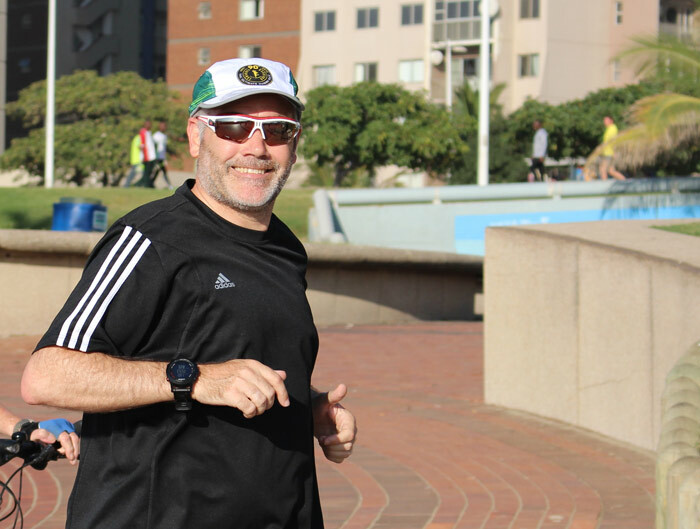 From parkrun to Comrades, Roodepoort parkrun’s director, Philip Gray, talks about his journey. 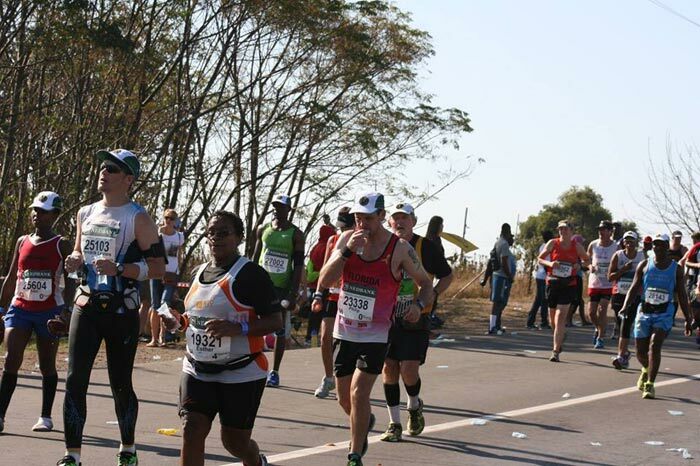 The last week of May saw thousands of runners descending on Durban for the Comrades marathon. Runners came from all over South Africa and the World to run South Africa’s famous ultra-marathon and quite a few of these were parkrunners. Many of these parkrunners ran the KZN coastal parkruns the day before Comrades. Those who were apprehensive about the challenge of the 88 kilometre Comrades walked or jogged their parkruns very slowly. At the Comrades itself parkrunners from all over the world distinguished themselves with their running. For many it has been an amazing transition from tentative 5km. runner to brave ultramarathoner. parkrun achievers and achievements at our great race are too many to mention individually but a couple that must be mentioned include Tom William’s wife Helen who ran 10:03 (Tom is country manager for the UK and supported Helen this year. He ran Comrades a few years ago. ) We also have to mention the nail biting run of Phillip Gray. Phillip is the event director at Roodepoort parkrun, our second oldest parkrun. He had a truly astonishing run and he tells his story below. 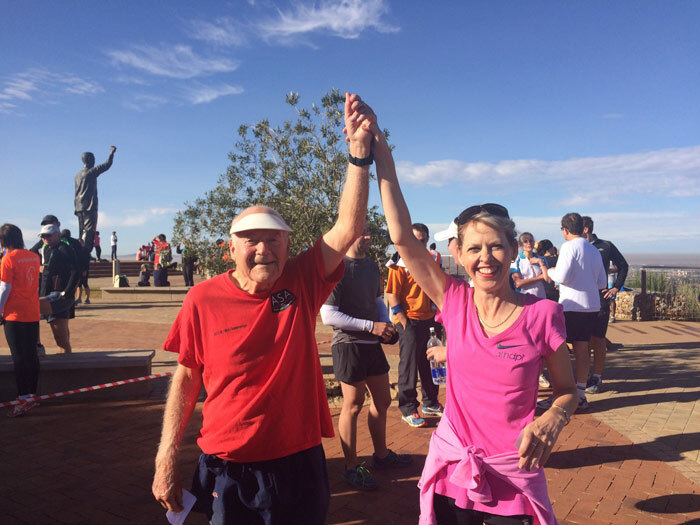 The weekend after the Comrades marathon we launched Prince Albert parkrun. Prince Albert is a town/village deep in the Karoo and is famous for its olive plantations and the breath-taking Swartberg Pass which tourists love to drive over on the way to the town. Prince Albert has particular meaning for me as my Great Grandfather was the first doctor at Prince Albert and owned the only car in the hamlet, as it was then. He lived in what was known as “die Doktor’s se Huis”. Apparently my Grandfather was born in that house. 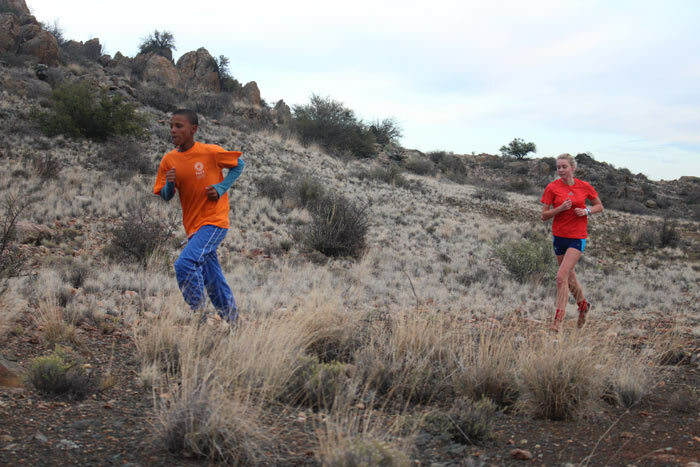 Prince Albert parkrun is run along paths in the Karoo scrubland and is quite unique. Zelia Mullins and her team organised a very entertaining launch and even organised some coal fires to stave off the chill as well as music to which people were dancing when the parkrunners arrived. Chariots of Fire boomed across the big sky of the Karoo as 74 excited runners started the run. 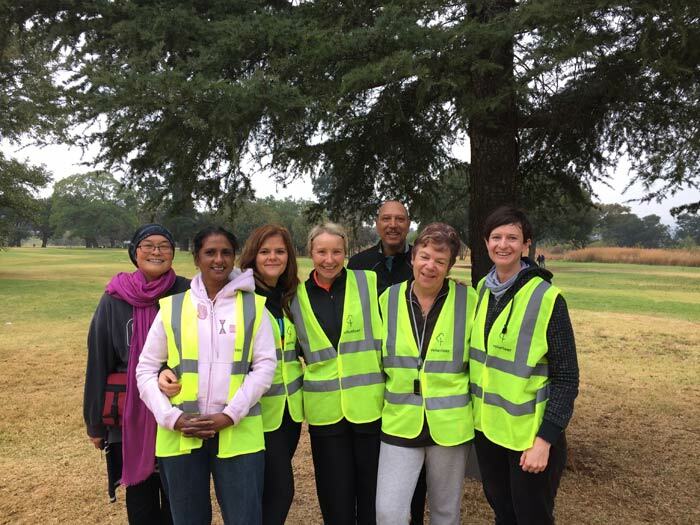 Great fun was had by all and Prince Albert parkrun will be very popular with locals and visitors alike. This Saturday we will start another KZN coastal parkrun in the sugar cane of Ballito’s Sugar Rush farm. Dwayne Swiegers and his team have designed a course that includes sand roads (traffic free!) and track and will be plenty of fun. Most importantly it will provide a lovely parkrun to the Ballito community who have been clamouring for their own parkrun for some time now. In March 2012, when David Ashworth called me and invited me to try out a new run, I was quite excited. I wasn’t what you’d call a runner, but the idea wasn’t entirely foreign to me. To that point, my running career consisted of a single 10km race, once a year, and the occasional jog when I felt inspired. But when I was introduced to parkrun, it gave me the opportunity, and the excuse, to wake up every weekend, and run regularly. The beginning of the next year, I joined Florida Running Club. Now, I was a runner! My first 21km nearly killed me, but I got used to them after a while, and my times steadily improved. 2014 saw me take on my first 32km, and then I did something very rash, I entered Comrades. Everyone thought I was mad. I thought I was mad, but I did it anyway. Perhaps it was time for me to start getting really serious. I found a great support group in the form of the Road 2 Comrades team, led by Laurie Lewis, and together we all worked, and played, hard in preparation for the big “C”. From there, things spiralled. I completed my first full marathon, and then another, and then I qualified. It wasn’t a brilliant time, but I was in. On 31st May 2015, I completed my first Comrades Marathon! I think I’ll be well remembered as the last man in, my official time being 12:00:00. But I’d done it. I’d survived the gruelling 12 hours on the road, the heat, the hills, and I’d come out on top. My mother told me later that this was probably the finest achievement in the family for decades. It’s still hard to believe how far I’ve come, but it certainly wouldn’t have happened without the weekly routine of getting up every Saturday and running my local parkrun, and the grounding that gave me. I am immensely proud to be involved with parkrun, and eternally grateful for what it has allowed me to achieve. Now, it’s time to start training for my next Comrades Marathon! Come down to your local parkrun this Saturday and receive expert advice from an adidas brand coach on technical running footwear. They will be offering runners an opportunity to test adidas running shoes with boost technology for free and provide personalised fittings, allowing you to get the best solution for your unique running style. The brand coaches will be found at selected parkruns nationwide – Cape Town, Johannesburg, Pretoria and Durban. The winners from the adidas parkrun competition are Louise Ynclan & Martin Herselman. Well done. All Discovery Vitality members earn 500 Vitality points for every parkrun you complete and for the entire month of June. Children six years and older (who are dependants on their parents' Discovery Vitality membership) will earn an extra 250 points for completing a parkrun. This means that kids earn 750 Vitality points for every parkrun they complete. Not sure how to link your Discovery membership to your parkrun profile? Use this step-by-step guide to help you. I don’t really have an interesting story as such! I just underwent lung surgery last year and parkrunning has proved difficult for me, so I have been limited to walking for the last few months, which is just as fabulous because walkers (and dogs!) are always welcome. What I would like to do though is encourage other parkrunners to join the volunteer community, especially when they experiencing sports injuries or unable to take part! It’s the perfect time to give back. Many people may feel frustrated that they cannot compete, but being part of the volunteer community is so rewarding and encouraging and really motivates one to return to fitness! I hope my little story can inspire others to volunteer.